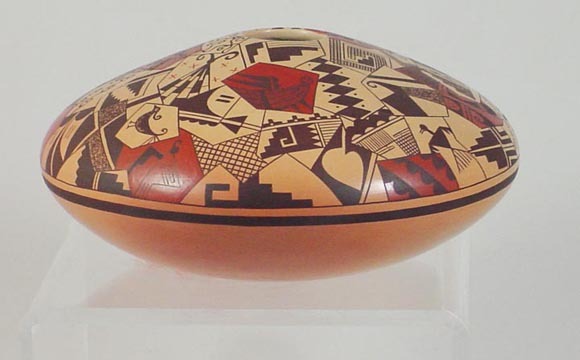 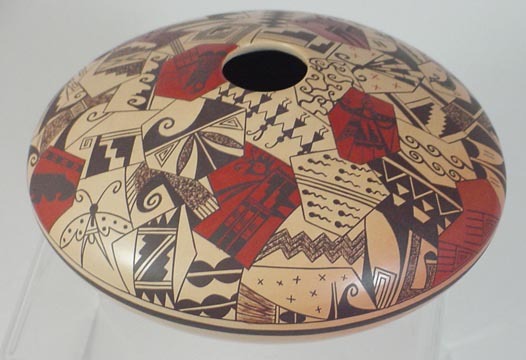 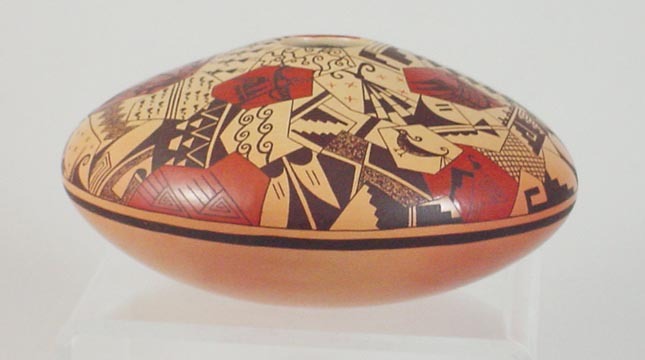 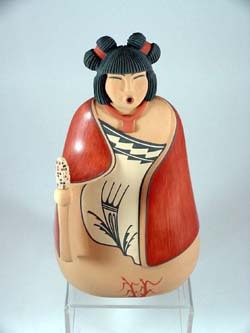 Valerie Kahe is the daughter of Gloria Kahe, a famous potter from Hopi. 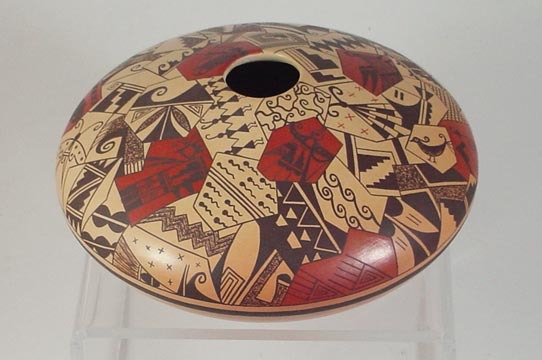 As this piece clearly shows, Valerie is a master potter in her own right. 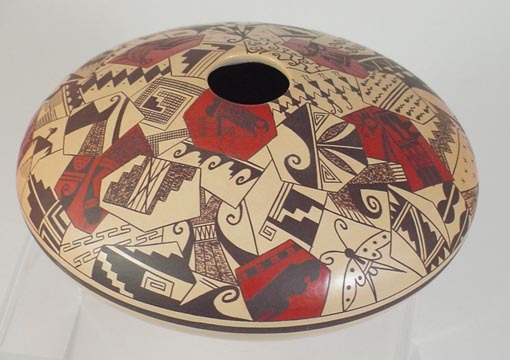 The pieces making the mosaic pattern displayed here are each decorated internally and artistically arranged on the surface of the pot. 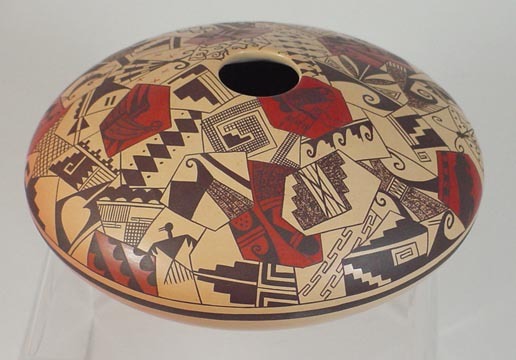 The pot measures 3 1/4 inches tall by 6 3/4 inches wide..